British craft breweries seem to be the favourite of many local beer importers of late, and the latest to hit our increasingly quenched island is (another) London-based craft microbrewery Fourpure Brewing Company, brought in by the folks from Eastern Craft Trading. 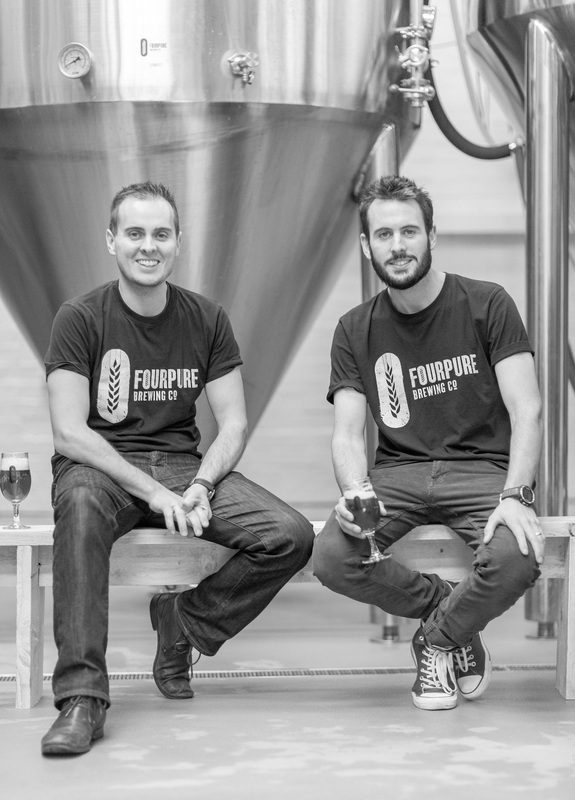 Founded in 2013 by brothers Daniel and Thomas Lowe, Fourpure is located along the famous Bermondsey beer mile stretch just south of the River Thames that includes many other recently established but cutting-edge craft breweries such as The Kernel, Partizan Brewing and Brew By Numbers. The inspiration behind the name Fourpure comes from the four main ingredients in beer-making: grain, yeast, hops and water. While the two brothers both brew – as inspired by their travels – and started out as homebrewers, one of the first things they did when they founded their brewery was to start a search for a head brewer; which is a curious thing – after all, most brewery founders tend to want to maintain a tighter control on the beers they make. Instead Dan and Tom decided to go with experience, and ended that search when they managed to land John Driebergen, who had worked as head brewer for one of London’s first pioneering modern craft breweries in Greenwich, London-based Meantime Brewing Company. The most striking thing about Fourpure beers is that they’re big on canning; in early 2014 Fourpure became the first UK-based craft brewery to fully can their core range. Tom and Dan both believe that using cans is actually better for the beer as well as for the environment, and are always looking to minimise waste and the resources they use. They’re huge on recycling – hence, the cans. Fourpure’s entry into the Singapore market is a tale of serendipity. Fourpure’s Daniel Lowe was visiting Singapore in August last year and happened to chance across Japanese craft beer bar JiBiru, and tweeted about it. Jeremy Reynolds, the director of Eastern Craft (which owns JiBiru), tweeted back his thanks. That evolved into a discussion of bringing Fourpure beers into Singapore. “We really see this as (a way of) bringing very good quality craft beer to the masses,” he added. 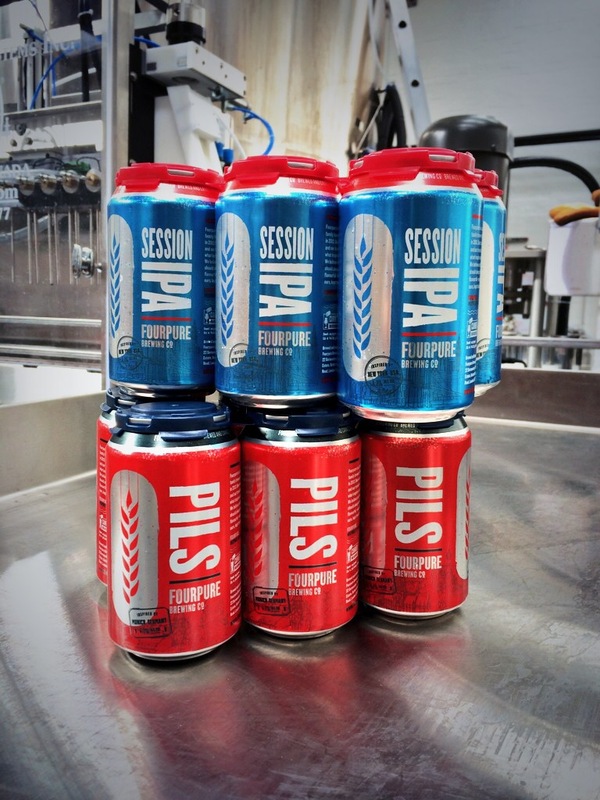 Eastern Craft has confirmed that they will be bringing most of Fourpure’s core range, including the Pils, Pale Ale, Session IPA, IPA and Amber Ale – the beers were previewed at the Singapore Bar Awards concluded over the weekend – and will be made available from this week. The Oatmeal Stout is likely to come in future shipments.